Have a question about the Trident Small Soft Bite Mouthpiece? Don't let water flood your snorkel again or have a mouthpiece so big that you can't make a proper seal. The small mouthpiece for children or folks with a smaller mouth fits perfectly on snorkels with a traditional moutpiece mount. 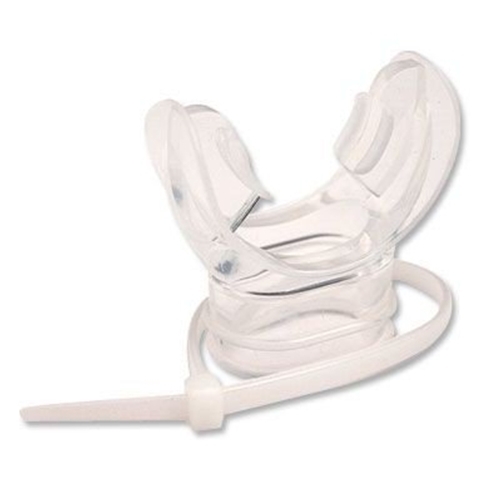 Air passages within the snorkel mouth piece enhance breathing. Extra features include high air volume capacity and soft, flexible silicone construction.